Only one thing is certain--when Ari holds the beautiful Asian-American in his arms, questions of guilt and innocence fade against an undeniable fiery attraction. But can their wild passionate love survive the tangled web of long-buried secrets, intentional deceit, and murderous revenge that lie just beneath the surface? Zara West loves all things dark, scary and heart-stopping as long as they lead to true love. Born in Williamsburg, Brooklyn, Zara spends winters in New York, summers in Maritimes, and the rest of the year anywhere inspiration for tales of suspense, mystery, and romance are plentiful. Now that you've entered the Zebulon contest sponsored by the Pikes Peak Writers, uploaded your story and paid your fee, what happens? It's almost time to announce the finalists. We thought you'd like to follow your entry through the months as the Zebulon progressed with a little backstory. At the same time the contest was open for submissions, we also sent out a call for judges. Many of our judges have judged for this contest before (and many were judges when it was the “Paul Gillette” writing contest), but we’re always looking for new talent. Those judges have since registered for this year and told us how many submissions they’re willing to judge in each round. When the contest was still a hard copy-submitted enterprise, this would be the time when the box window in my kitchen would fill with box upon box of entries each in their own Manilla envelope. Knowing the number of submissions, I would check to see if we had enough judges in each category, make some calls to fill gaps, and then call in a boatload of volunteers to package everything up and mail out the first round. Now, with the online contest created by our very own PPW president, JT Evans, we no longer have to “touch” each entry multiple times, but we still have to make sure we have the right judge-entry balance before divvying up submissions. Once that’s done, the computer randomly selects the judges, humans do a double check, and the judges receive an email that their query letters are available to read. They judge your letter according to these guidelines: guidelines This is where your entry goes in Round One. Every letter is scored by two judges, and those scores are averaged. If that average score is at least 80% of the total possible score, your entry will move on to Round Two, which will begin in mid-December. Thanksgiving has come and gone, and the Christmas season has begun. It must be time to judge contest entries! Yes, along with holiday shopping, Christmas parties, and family get-togethers, the Zebulon judges are taking the time to read submissions. If your entry made it through Round One (and most have; we do our best to give you all of the information you need to succeed), it is currently in the queues of two judges. Fortunately, we at the Zebulon are not entirely heartless, and so we give our judges through early January so that, if necessary, they can recover from the holidays before plunging into the business of reading, scoring and critiquing. Round Three: Third judge, anyone? Once the judges submit their scores, any entry that has a difference between the two scores of 35 points or more will go to a third judge, which takes us into February. Once the third judge submits a score, we’ll average the two closest scores together for that entry’s final score. To advance to the final round, an entry must have two things: 1) a final score of at least 80% of the total possible score and 2) a score that ranks within the top three for its category. If your entry qualifies, it’s off to the VIP judges. It's now February, and up to three high scoring entries for each category are winging their way to the editors and agents who have agreed to read and rank the entries for the final round of the Zebulon. Depending on their busy schedules, our VIP judges may have this done in a matter of days or weeks. Once we know, it's time to let our winners know. Finally it’s time to return the entries. Though it’s possible everything has gone smoothly, we plan for sickness and busy-ness and the unexpected, and so we schedule the final return for early March. That gives people time to register for the conference (if they haven’t already) while it’s still at its lowest price of $395 through March 15. So there you have it, a month for preparation and query letter judging, a little over two months for judging the synopsis and manuscript portions, and another month for VIP judging and the return of submissions. About the Author: Dawn Smit is a freelance editor and proofreader and the creator of Rainbow Editing®, a technique that writers can use to teach their computers to help them self edit. She was the contest director for the Paul Gillette Writing Contest from 2005 to 2010 and has returned for an encore. This is the third installment of Peak Productivity. The first and second parts are already posted. I’ve talked about ways to avoid productivity killers, but there are some tricks to increasing your word count during a scheduled meeting. These are broken down into external and internal motivations. These can be used in combination with each other. I’ll say this up front, though. Some of these work for most people. Some don’t. Give them a try. If you find something here that doesn’t help you out, then either adjust it until it does work, or you can walk away from the suggestion. It won’t hurt my feelings if the techniques that kick my brain into high gear don't work for your brain. Find the #1k1hr Twitter hashtag and participate! Wait. I thought I told you to turn off the Internet and Twitter? Well, the #1k1hr hashtag on Twitter is a challenge you share with other writers during the same hour. 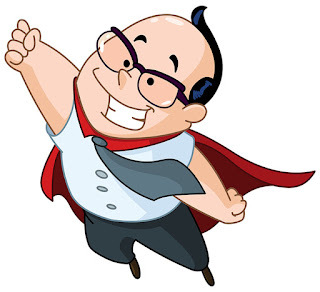 The goal is to write 1,000 words from the top of an hour to the top of the next hour. Guess what? This means you fire up the Internet and hit Twitter just before the top of the hour and join in the fun with a tweet. Then you kill the Internet and close the Twitter tab in your browser. Just before the hour is up, get back online and prepare to compare word counts with your fellow writers. Find a “support group.” This can come in the form of a critique group, beta readers, or writing partner. They are your initial audience for your writing. They expect submissions from you. They want your words. If you haven’t written anything by the time the next meeting (or scheduled email) date rolls around, they’ll be disappointed. Don’t do that to them! This kind of motivation can help you churn out the words. Similar to #1k1hr on Twitter, you can sometimes find a “word war” going on at Facebook with your fellow writers. Perhaps you challenge someone to a word war. Sometimes you put out the fact that you want to be challenged. The idea behind this is to set a time limit (usually 15 minutes, 30 minutes, or an hour) and see who can crank out the most words during this time period. It’s actually great fun to cheer on someone else's word count at the end, and you get cheered on as well. Write-ins are great fun, but only if done right. A proper write-in will start at a certain time, and the first 10-15 minutes are for socializing. This allows everyone to get set up, get the chatting out of his or her system, and then it’s down to business. The rest of the time is spent hammering the keyboard, except the last 10 minutes when everyone compares word counts. The energy (even when the only sound is the "skritch" of pen on paper or the clattering of keys) in the room is palpable. It’s a great time. Another thing I’ve sometimes seen at write-ins is that everyone brings a book they no longer want. The person with the highest word count production at the end of the write-in gets to take all the books home. I recommend bringing books on the craft/business of writing as rewards, but any kind of book is cool. There seem to be more write-ins during November and NaNoWriMo than other times of the year, but they do happen year-round. How do you get into the right headspace to write? How do you stay there? What triggers those mysterious Alpha Waves in your brain that drive your creativity? Write to music. Some people can do this. Some people can’t. Perhaps you think you can’t, but maybe you haven’t found the right music yet. Some writers make a playlist for their story and put it on repeat. This helps keep them in the mood and tone they need to be in to execute their story. Personally, I find the music that fits the current scene type that I’m writing. If I’m writing a fight scene (I do lots of those), then I put on some heavy metal. If I’m writing dialogue, I put on more lyrical and melodic tunes. If I’m writing narrative or description, I put on music without lyrics. As I’ve mentioned above, you can reward yourself for accomplishing certain goals. Set a reward at certain word count markers. Set a big reward for typing “the end” on a story. You’ve earned the reward! Make sure you claim it. Just make sure it’s appropriate for the level of accomplishment reached. On one of her episodes of I Should Be Writing, Mur Lafferty said she rewards herself with an hour of Skyrim on the XBox for every two hours she writes. Editor's Note: The fourth and final presentation of Peak Productivity will be on February 8th. About the Author: J.T. Evans writes fantasy novels. He also dabbles with science fiction and horror short stories. 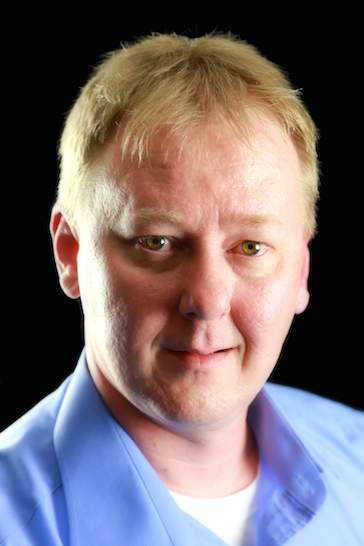 He is the president of Pikes Peak Writers. When not writing, he keeps computers secure at the Day Job, homebrews great beers, spends time with his family, and plays way too many card/board/role-playing games. J.D. 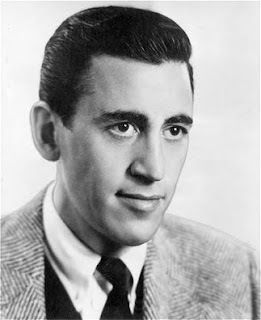 Salinger (Jerome David Salinger) was born January 1, 1919 and died January 27, 2010. 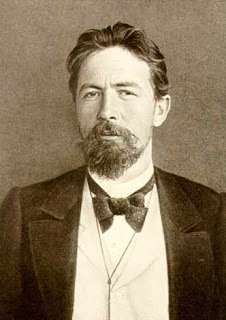 Most famous for his novel, Catcher in the Rye, he also wrote numerous short stories. 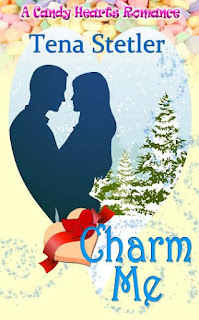 Tena Stetler’s novella, Charm Me (ISBN: 978-1-5092-0467-0, e-book, 80 pages), will release just in time for Valentine’s Day. Her paranormal romance will publish January 6, 2016 by The Wild Rose Press. Available at Amazon Preorders are now available. Summer Riley’s an extraordinary elemental witch whose troubled past haunts her. She’s created a calm life for herself teaching yoga and keeping people at a distance. Her life takes a one eighty degree turn when she enrolls in a women’s weapons class and meets ruggedly handsome Devlin Sawyer. Devlin, a former Navy Seal, has sworn off women after two long-term failed relationships, but there is no denying his attraction to Summer. Despite her attempts to ignore him, Summer is drawn to Devlin. His magic signature is strong, but he’s no warlock. Will Valentine’s Day magic find them a future together? Check out Tena’s author page HERE. The day may come when life throws a wrench at the back of your head. I am talking about one of those wrenches that is the size of your left leg and flies at you from across the void. You won’t know where it came from, but when you get hit with it, your entire life feels smashed into tiny pieces. December 2014 was when I became the target of one particular wrench that had the word cancer etched into the handle. The earth tilted and my daily focus in life became pinpointed on cancer and getting rid of it. Writing exploded out the window. There are writers (and some wonderfully ordinary people too) who have faced incredible odds at some point in their lives. They wrote their way through it. The written word was their therapy. Their comfort. For others, we face the inability to string a sentence together. To find words is a struggle. Thinking of the next sentence is just out of our reach. To breathe life into the space of that empty whiteness is impossible. 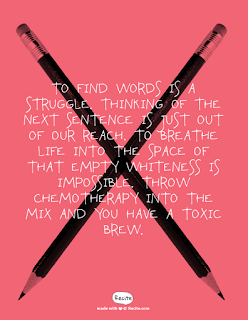 Throw chemotherapy into the mix and you have a toxic brew. Trust me when I say “Chemo-Brain” is a real thing. The drugs given during treatment are powerful with a list of side effects longer than the wrench that hit the back of my head. “Chemo-Brain” is a kind of nerve damage that makes thinking difficult. Reasoning becomes a confusing muddle, and memory is like the end of a lonely road that you forgot how you got there. 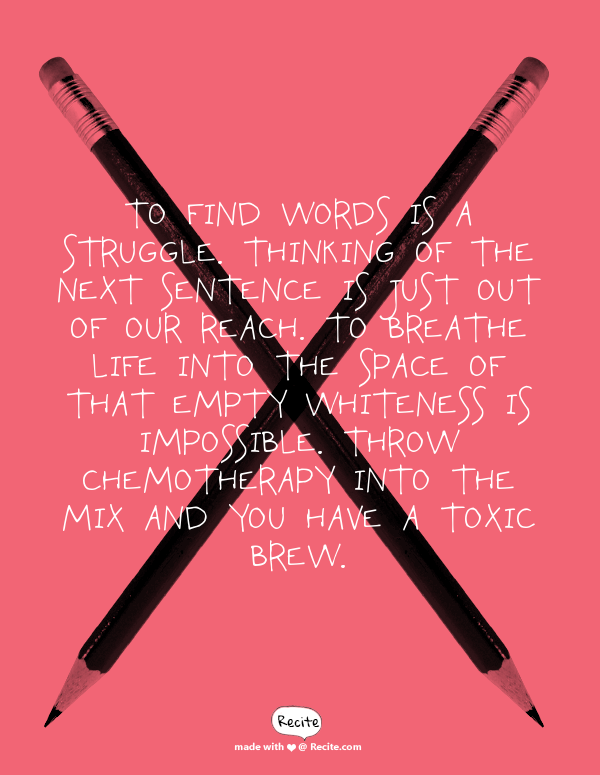 The ability to recall words is gone when you write post-chemo and thinking in a straight line is impossible. Thankfully, I found a few things to work through this struggle. Not only are they helping me get back into writing, but they might also help you get past a difficult stage in your own writing career. Don’t stress out about it. Worrying over your inability to write only compounds an already stressful situation. If you find writing to be too daunting, then go to your local bookstore and get a coloring book. I found coloring to be a wonderful way to relax my mind without feeling challenged. Keep at it. If you are unable to write today, then just try again tomorrow, and the next day, and the next. Weeks might go by, or even months, but keep trying. One day you will find a few words, and then a few more. Each time you attempt to write will be a new chance to find the pathways to remembering the way. Stay involved with your writing groups, friends, and colleagues. Just being around them is healing in itself. At first, returning to my critique group was a challenge. I couldn’t remember one sentence to the next to formulate a comprehensive response, but as the weeks went by, and I exercised that part of my brain, I was able to slowly remember more and more. Every day I felt more confident in the critiques I offered and, by happenstance, I can feel my writing abilities returning as well. Love yourself right where you are. Revel in the beauty of living and being lucky enough to be a writer. You are an amazing human being who has the ability to weave words into art that can be just for yourself, or for the entire world to enjoy. Open your heart and the words will flow. After a year of treatments and illness, I am now in the recovery phase. I am pleased to say that my tumor is gone, and healing from surgery is mostly complete. Writing is a slow process still, but every day I practice. And the wrench? It is mounted on the wall above my desk. It reminds me that each new day is another chance to slay the beast that stole my words. About the Author: Kathie Scrimgeour writes under the name K.J. 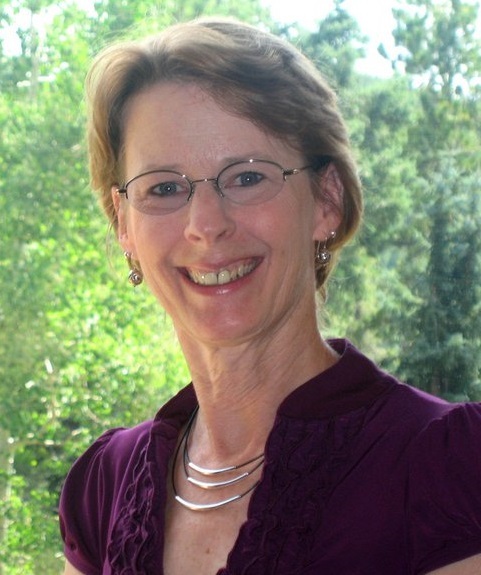 Scrim and has been a member of Pikes Peak Writers since 2013. She has volunteered at the last two PPW conferences and coordinates the Sweet Success column. Kathie is a self-taught writer who delves into fantasy, fiction, and historical fiction. Her debut fantasy novel,The Manx, is scheduled to release later in 2016. She lives outside of Denver with her family, two dogs, and a crazy cat. Editor’s Note: Last Monday, January 11th, Writing from the Peak repeated a series given at the 2013 Pikes Peak Writers Conference by J.T. Evans and Cindi Madsen on Time Management and Productivity. The information was so well-received we wanted to share it with members who may not have had an opportunity to attend the conference. You can find the first part of this series here. Stealing moments of time is great, but if you can schedule time, even better. As a writer, you are a small business. Yes, you are also an artist, but remove that “artist hat” for a moment, and put on the “business hat." As a one-person small business, you have to treat your writing like it’s a job. Sure, it might be a part-time job for some of you and a full-time job for others. Whatever the case may be, jobs come with meetings. We all hate them because we feel horribly unproductive while sitting in a conference room talking about the latest paradigm shift instead of being at our desks doing what we do best. In this case, putting something down on your calendar can pull you away from your Real Life distractions (the dishes can wait) and put you in a place where you can get some words down on paper. Make meetings for yourself in your calendar. Stick to those meetings. If something non-essential comes up during your meeting, decline it. Tell people, “Sorry, I have a meeting.” If you want, you can tell them it’s to write, but you don’t have to. If you stick to the line I’ve given you, people will understand and know you are busy at that time. If you get to the meeting early, or if you stay late after the meeting is over, reward yourself. Maybe you get to go to the movies on Friday night, or have a date night with your spouse. Perhaps you get to buy that book you’ve been eagerly awaiting. Maybe it’s a spa day or just a candy bar from the local corner store. Set up appropriate awards for yourself that reflect how much of a “dedicated employee” you’ve been while working for your small business. When you’ve scheduled that meeting with yourself, get rid of external interruptions. These are (usually) things out of your control that try to steal the time you’ve made for yourself. Some of these are within your control, so grab them by the neck and wrangle them to your will. Put a sign on the door warning people away. Most of these are establishing solitude. However, don’t become a hermit. You still need to have fun with family/friends and socialize. Balance your life. Internal interruptions are more destructive to the time you’ve made than anything else. These are things you do to yourself to keep from writing. I’m not talking about writer’s block. I’m talking about activities you actively engage in that distract you from your writing. Hugh Lofting, born Jan. 14, 1886 and died Sept 26, 1947, was a British writer and engineer by profession, who resided in the U.S. and was responsible for the acclaimed Doctor Dolittle book series. 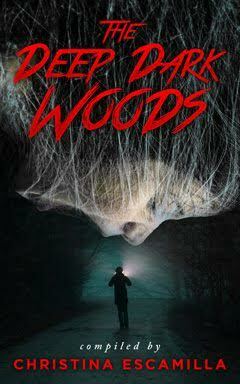 Shannon Lawrence’s horror short story, “The Blue Mist”, in the anthology The Deep Dark Woods (ISBN 978-0692565070, 148 pages), was released by Revolving Door Press on October 25, 2015. It is available in e-book and paperback at Smashwords, Amazon, Createspace, and Barnes & Noble. The anthology: In the Deep, Dark Woods... Fear abounds. It may be creatures that only you can see, or the fevered imaginations of your nightmares. Perhaps these monsters are the ones that bite and claw, or the ones that come out of the grave. No matter what, when you go walking in the woods at night...you may not make it back out. The short story: A prospector left behind to clean up after a local menace makes a deadly mistake. A fan of all things fantastical and frightening, Shannon Lawrence writes primarily horror and fantasy. 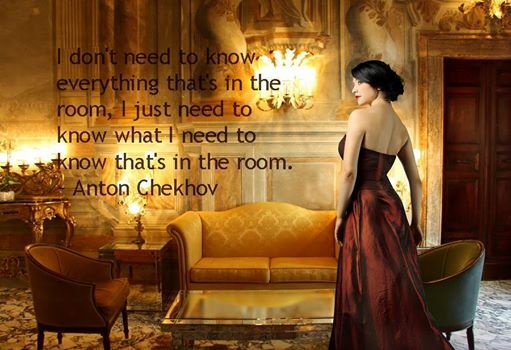 Her fiction can be found in several anthologies and magazines. When she's not writing, she's hiking through the wilds of Colorado and photographing her magnificent surroundings. You can find her at www.thewarriormuse.com. Every "no" means you're one step closer to a "yes." How many rejection letters did you get in 2015? Ten? Thirty? Sixty? Three-hundred? If you have more than zero, you’re doing something right! I personally racked up more than sixty rejections for two different novels during the course of 2015. That’s not counting the slew of emails I received declining short stories I’d submitted to various markets. While I wish something had landed for me in the past year, I do my best to not let it get me down. I have to be honest that there have been some rough patches for me in 2015 when I just knew I’d found the perfect market for the perfect story… and it didn’t work out the way I’d hoped and planned. With the support of my family, friends, my critique group, and Pikes Peak Writers, I’ve managed to remind myself that good things are coming. I don’t know when or how, but they’re coming. I’m not going to miss my opportunity. Like The Great One says, if I stop shooting, I am guaranteed to miss. I can’t let that happen to my writing or me. The shots I’m taking today are better than the ones I took last month and those are better than the ones I took last year. Every sentence I write is better than the previous one that fell from my fingertips and hit the keyboard. With each effort I put into building my “writing muscles,” I get stronger, faster, and more agile. I know I can do this. Obviously, I don’t want you to self-immolate (or immolate in any manner), but if you sit around and do nothing with your writing, you’re waiting for spontaneous combustion. I’m challenging myself in 2016 to set myself on fire (again, not literally), and get more work out in the world. I sent close to one hundred submissions (some queries for novels, some for short stories) in 2015. In 2016, I’m challenging myself to break that record and submit more than one hundred items out into the world for consideration. Who out there is willing to step up to my side and light that fire in themselves? Who is going to break their personal best for racking up the rejections? When you’re taking the action of submitting your stories to a market, make sure it’s a good fit. Yes, this might narrow the field of markets, but if you have enough stories under your belt, you can submit several stories into the world at the same time. If it’s a form letter, I “meh” about it for a few seconds and file it away into my rejection email folder. Those don’t hurt me. They don’t stop me. I hardly experience them at all. If I receive a personalized rejection letter, I experience those. I read them. I re-read them. I ingest them into my spirit and being. I learn what I can from them. I improve where I can from the feedback. I do not fail because of them. Then I file them away in my rejection email folder along with all the rest. I encourage you to do the same. Keep the rejections. Learn from them. Live through them. Succeed in spite of them. You can do it. I know you can. Now, go forth and get rejected! Editor's Note: For the next four Mondays, Writing from the Peak will host a four-part series on time management. The blogs will include tips and actual events that may help you make the most of yours. If you've been keeping up with Writing from the Peak you know that we ended 2015 discussing stress, ways to increase our writing time, and advance our careers. Ideally, now that we've turned the calendar to 2016, you're ready to set goals. A big part of achieving those goals is through time management. Today I begin a four-part series on the subject. Some of you might recognize this as material that Author Cindi Madsen and I presented at the 2013 Pikes Peak Writers Conference. Fortunately, unlike our computers, the thread of time management never requires new software updates. To be successful, writing or not, people need to engage in effective time management. It’s not a quarter on the ground waiting to be picked up. You are allotted the same 168 hours in a week that everyone else gets. There’s no way to get extra (except for maybe that pesky hour shift during daylight saving, but an extra hour a year won’t make a difference to anyone.) You have the same time as everyone else. What you make time to do is what matters. Every time I hear someone say, “I’d love to write, but I can’t find the time,” I grind my teeth. If someone is truly passionate about an effort (writing, working, family, hobbies, or whatever), then they will make the time for it. The advice I'm giving is for those people with passion to write, but can’t seem to make the time in their lives. The excuse of not having time falls in the same bucket as not being able to “find” time to do something. I just don’t buy it. I’m not posting this chart to brag. I’m showing you this to illuminate how busy Real Life can be. I was left with a mere 15 hours each week to work on my writing. During this year, I started (and finished) a novel, and roughly a dozen short stories. This is not including the endless pages of critiques I did this year and the countless papers I had to write for my graduate degree. Because of my busy life during 2010, when someone claims they can’t find the time to write, I call them out. Everyone can make the time to write if they are passionate enough about it. Now to the meat of things. How do you go about making time to write? You don’t have to block out hours on end for writing. You can steal moments from your life with which to write. This means being prepared to write at any location and at any time. Make sure you always have a writing device and some paper with you. If you can, drag your typical writing implements with you everywhere. This can be your laptop if that’s your preferred writing method. At a minimum invest in a pen that is comfortable for your hand and a few Moleskin (or similar) notebooks. Keep one in your car. Keep another in your purse (for the ladies). Keep another in your office desk. Keep another in your back pocket if you can. Scatter them around your life. You never know when you’ll have a moment or five to write. One winter, I hit a pretty hefty patch of ice and found myself up against a fence in a bar ditch. I couldn’t get out of my car, but I was unharmed. After calling my wife to let her know what happened, I called for a tow truck. They told me it would take about an hour for them to arrive. I pulled out my notebook and outlined five short story ideas. I didn’t get to write any of them at that moment as I was in “idea mode,” but it was still forward progress on my writing. This was a stolen moment for me. Here are some places/times in which you can steal moments. These are all things where waiting and doing nothing is common. Make sure to keep your laptop battery charged at all times. You never know when a moment will strike to write! Tune in Monday, January 18 for Part two.